3. 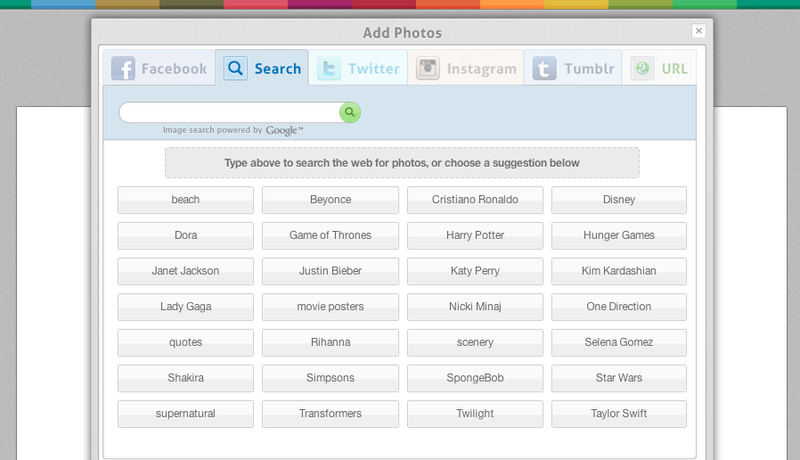 Click on Search and type in the celebrity you would like to make a collage of. 5. Select the Shape that you want to use. 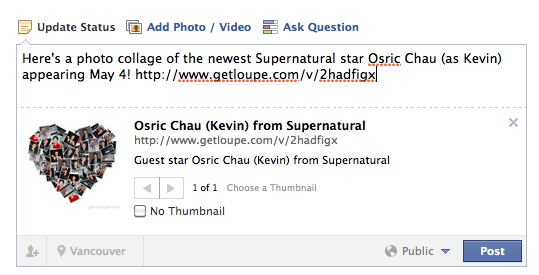 We chose a heart because we heart Osric Chau from Supernatural! Remember, you can select the text option and write out their names too! 6. 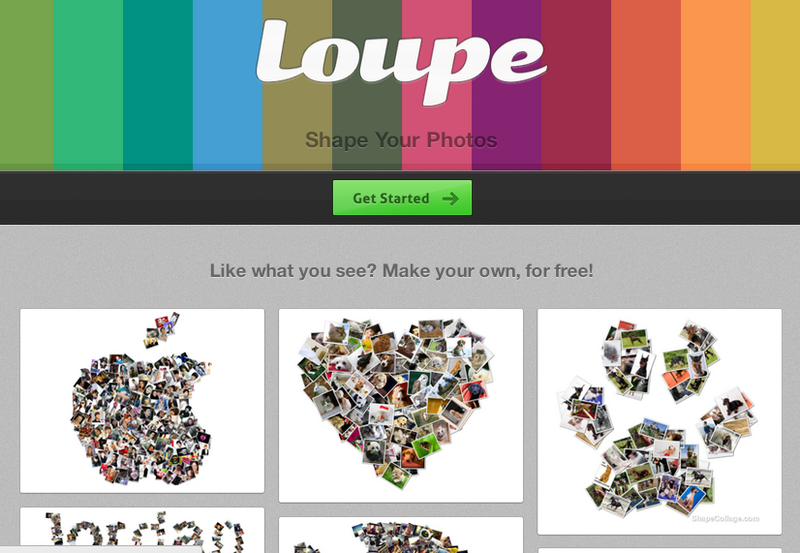 Once you’ve got your final collage, right click on the collage. 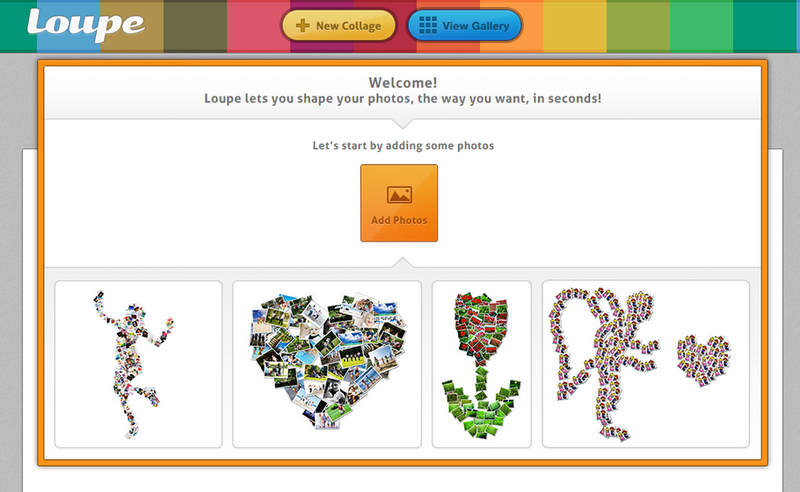 Click “Download Collage” or “Save As”. You can save this anywhere on your computer including your desktop. 8. Open a new browser or window. Log into your Facebook account. Decide what you want to say on your status update. 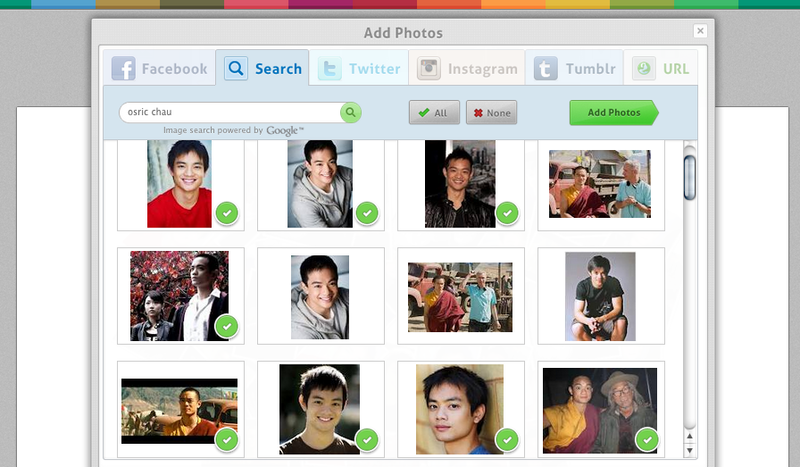 For example “Here’s a photo collage of the newest Supernatural star Osric Chau (as Kevin) appearing May 4!“. DO NOT PRESS POST YET!! 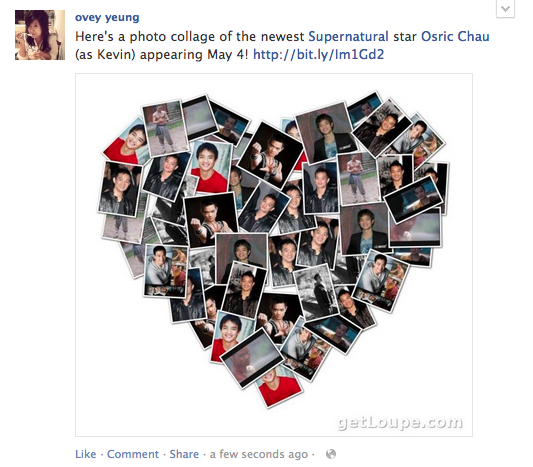 “Here’s a photo collage of the newest Supernatural star Osric Chau (as Kevin) appearing May 4! http://www.getloupe.com/v/2hadfigx” DO NOT PRESS POST YET!! 10. 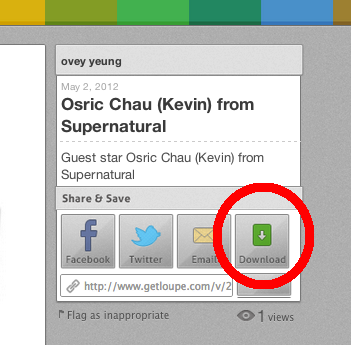 Now click on “Add Photo/Video”. Select the image from where you saved your collage. DO NOT PRESS POST YET!! 13. Once you have double and triple checked to make sure everything is in place, YOU CAN CLICK POST! 15. 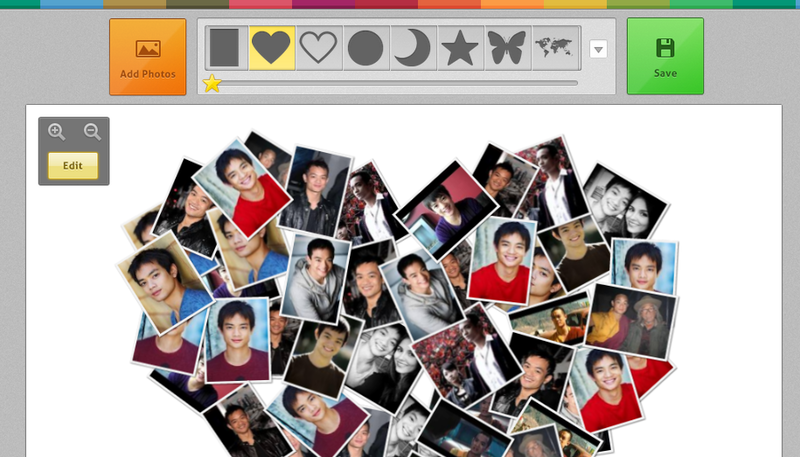 Now go ahead and tag your collages with more celebrity fan pages. 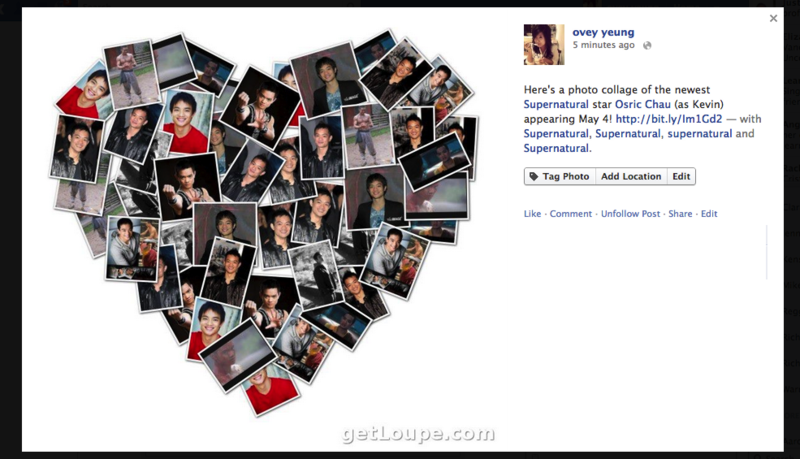 In this case, we will tag all the Supernatural fan pages. 16. 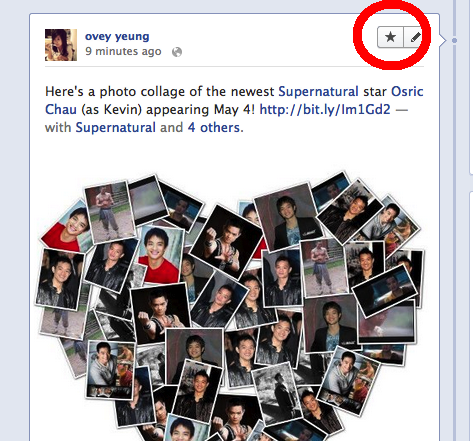 Now go to your Facebook Profile Timeline and click on the Star to highlight your new celebrity collage! 17. And… Voila! You are done. 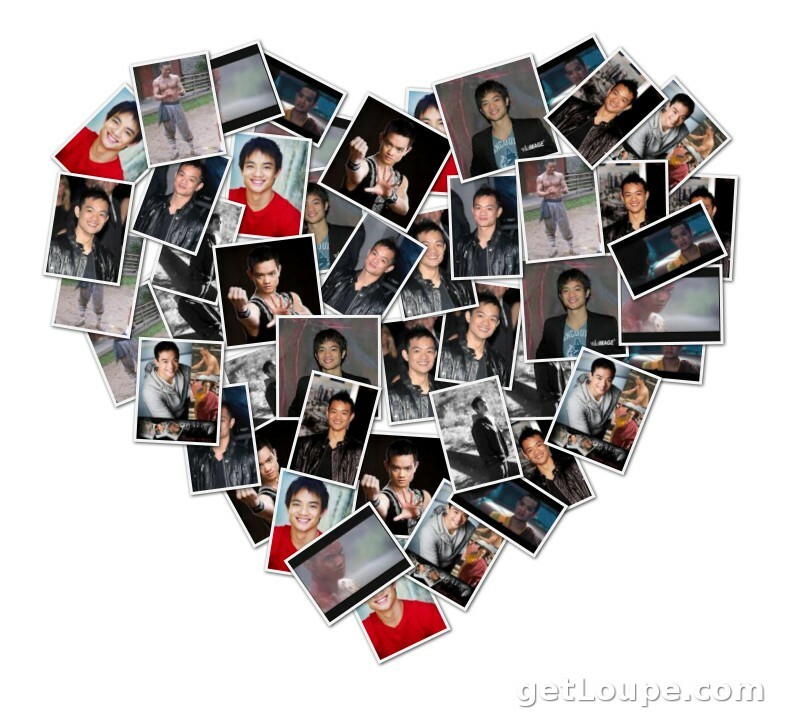 Do not forget to tweet your collage to the celebrity! ps. 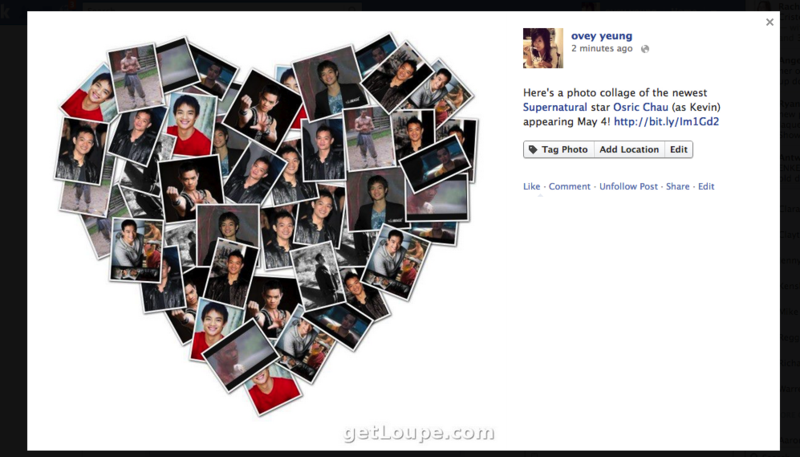 Have you posted a collage of Justin Bieber or One Direction on Facebook yet?